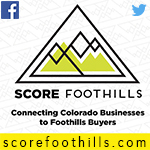 THESE CLASSIFIEDS ARE EXCLUSIVELY FOR THE USE OF COLORADO RESIDENTS AND BUSINESSES IN THE STATE OF COLORADO. MMT TOS are in effect. LICENSE. 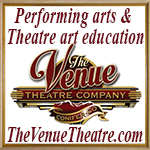 If you are 18 or older, we grant you a limited, revocable, nonexclusive, nonassignable, nonsublicensable license to access CL in compliance with the TOU; unlicensed access is unauthorized. You agree not to license, distribute, make derivative works, display, sell, or "frame" content from MMT, excluding content you create and sharing with friends/family. You grant us a perpetual, irrevocable, unlimited, worldwide, fully paid/sublicensable license to use, copy, perform, display, distribute, and make derivative works from content you post. USE. You agree not to use or provide software (except for general purpose web browsers and email clients, or software expressly licensed by us) or services that interact or interoperate with MMT, e.g. for downloading, uploading, posting, flagging, emailing, search, or mobile use. Robots, spiders, scripts, scrapers, crawlers, etc. are prohibited, as are misleading, unsolicited, unlawful, and/or spam postings/email. You agree not to collect users' personal and/or contact information ("PI"). MODERATION. You agree we may moderate MMT access and use in our sole discretion, e.g. by blocking (e.g. IP addresses), filtering, deletion, delay, omission, verification, and/or access/account/license termination. You agree (1) not to bypass said moderation, (2) we are not liable for moderating, not moderating, or representations as to moderating, and (3) nothing we say or do waives our right to moderate, or not. All site rules, are incorporated herein. SALES. You authorize us to charge your account for MMT fees. Unless noted, fees are in US dollars; tax is additional. To the extent permitted by law, fees are nonrefundable, even for posts we remove. We may refuse purchases, which may place a hold on your account. To the extent permitted by law, (1) we make no promise as to MMT, its completeness, accuracy, availability, timeliness, propriety, security or reliability; (2) your access and use are at your own risk, and MMT is provided "AS IS" and "AS AVAILABLE"; (3) we are not liable for any harm resulting from (a) user content; (b) user conduct, e.g. illegal conduct; (c) your MMT use; or (d) our representations; (4) WE AND OUR OFFICERS, DIRECTORS, EMPLOYEES ("MMT ENTITIES"), DISCLAIM ALL WARRANTIES & CONDITIONS, EXPRESS OR IMPLIED, OF MERCHANTABILITY, FITNESS FOR PARTICULAR PURPOSE, OR NON-INFRINGEMENT; (5) MMT ENTITIES ARE NOT LIABLE FOR ANY INDIRECT, INCIDENTAL, SPECIAL, CONSEQUENTIAL OR PUNITIVE DAMAGES, OR ANY LOSS (E.G. OF PROFIT, REVENUE, DATA, OR GOODWILL); (6) IN NO EVENT SHALL OUR TOTAL LIABILITY EXCEED $100 OR WHAT YOU PAID US IN THE PAST YEAR. CLAIMS. 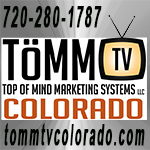 You agree (1) any claim, cause of action or dispute ("Claim") arising out of or related to the TOU or your MMT use is governed by Colorado ("CO") law regardless of your location or any conflict or choice of law principle; (2) Claims must be resolved exclusively by state or federal court in Lakewood, CO (except we may seek injunctive remedy anywhere); (3) to submit to personal jurisdiction of said courts; (4) any Claim must be filed by 1 year after it arose or be forever barred; (5) not to bring or take part in a class action against MMT Entities; (6) (except government agencies) to indemnify MMT Entities for any damage, loss, and expense (e.g. legal fees) arising from claims related to your MMT use; (7) you are liable for TOU breaches by affiliates (e.g. marketers) paid by you, directly or indirectly (e.g. through an affiliate network); and (8) to pay us for breaching or inducing others to breach the "USE" section, not as a penalty, but as a reasonable estimate of our damages (actual damages are often hard to calculate): $0.10 per server request, $1 per post, email, flag, or account created, $1 per item of PI collected, and $1000 per software distribution, capped at $25,000 per day. Hi, I don't remember anything about a membership fee. Please let me know about this. I was dealing with Sharon. Please don't worry about the "fees" portion of the statement - using the Classifieds is free for everyone! What that is referring to is that you have the option to pay to make your ad a "Top Ad" for $1 so that it rotates along the bottom scrolling ads! The payment is tied directly to our Paypal account, so the funds are transferred directly, which is what that legal mumbo jumbo says. Our apologies for any confusion! 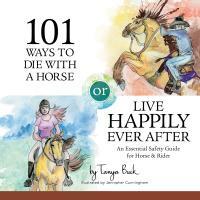 101 Ways to Die with a Horse or Live Happily Ever After, an essential safety guide for horse & rider, by Tanya Buck, illustrated by Jennipher Cunningham. In the world of horses, the most important thing is to keep both you and your horse safe. It begins when deciding to ride and the adventure continues as you begin down the road of happy horse ownership, so knowing what “safe” means is the one thing every equestrian needs to know. • How horses think and why it matters. to the barn; what to wear, how to act. • Choosing the best trainer, veterinarian and farrier. • Safely riding in company; on the trail and in the arena. • Why choosing the correct tack is important. • Trailer loading and safety hauling tips. • Health care and more. Local author and artist, so if you would like a signed first edition, contact me here or go to www.TanyaBuck.com and shop! I can meet you to deliver if you are near enough to Conifer/Evergreen/Bailiey. 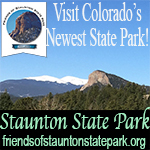 Signed copies are also available at Billy's Inner Glow in Conifer. Get a facial while you're there, they are the best! If you get a treatment from Billy, the book is only $20! Just mention this post. I can't figure out how to delete that last message. Sorry. I also can't figure out how to USE classifeds---to post something. So, I put my book in Pets area. Please advise if I need to delete from there and thanks so much! Hey LopingAlong! We've got a tutorial posted here with step-by-step instructions on how to post an ad on our Community Classifieds page, but if you'd like me to walk you through a post, I'd be happy to - just give me a call! 720-608-0285 is the best way to get hold of me.